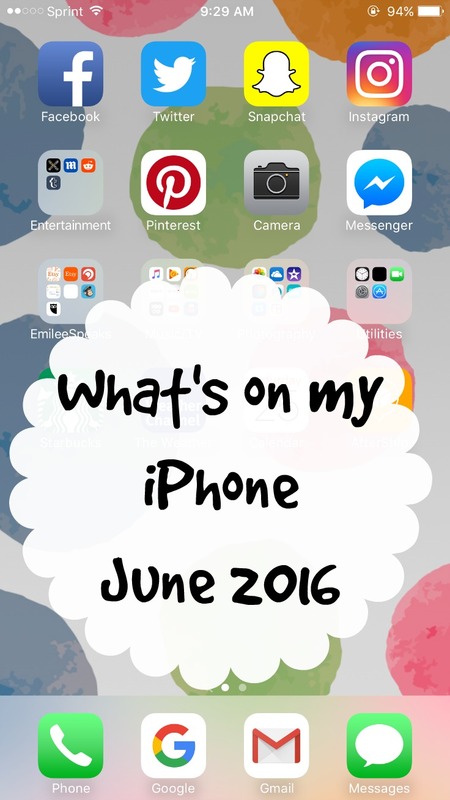 My favorite apps for the month of June including an exciting app for magazine lovers! It's been a minute since I've share my iPhone apps and layout with you. 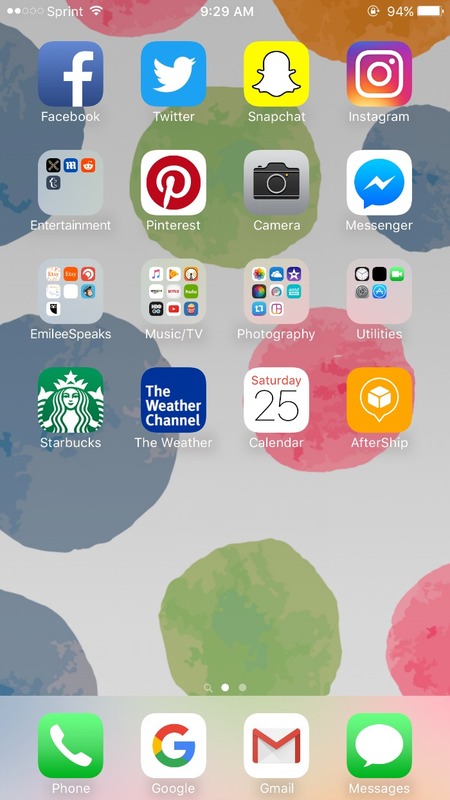 I've definitely added some new apps since my last post and one that I'm OBSESSED with. Okay, 2 that I'm obsessed with! I have become so incredibly obsessed with Texture and Daily Mail. Oh boy... seriously obsessed. Let's start with Daily Mail. Daily mail is a UK based news outlet with the latest US news, pop culture, science, sports, and health stories. It updates all day long so there's always new content to read. Now moving on to Texture. This app is the greatest invention ever. It's Netflix but for magazines. It saves me so much money every month! I'm guilty of being a newsstand magazine purchaser. Every month buying single issues at a minimum of $5 a mag. Texture has literally every magazine you could want. When you sign up, you pick all your favorites so they're saved in one spot for you. Not only do you get access to current issues, it has back issues too! This app saved my life on our family trip this month. We drove to South Dakota [that's a lot of car riding...] and I loved that I had this app to read tons of magazines AND it didn't take up extra space in the car. Here's an example of how your library looks. Your favorite magazines show up here in alphabetical order. Easy to find the magazine you're looking for! One of the BEST features of Texture is the search feature. If you wanted to find a specific topic, you can search for it. 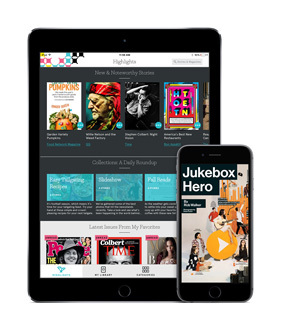 Texture will scour the entire magazine library and locate articles related to the topic you searched for. How awesome is that!? How many times have you looked at magazines and then needed to go back and find a recipe that interested you but you didn't know which magazine or what issue? This solves that! I also really enjoy Texture on my iPad. I lay in bed flipping through my favorite magazines right on my iPad. I'm always bookmarking articles in it and referencing back. This is such an amazing app! 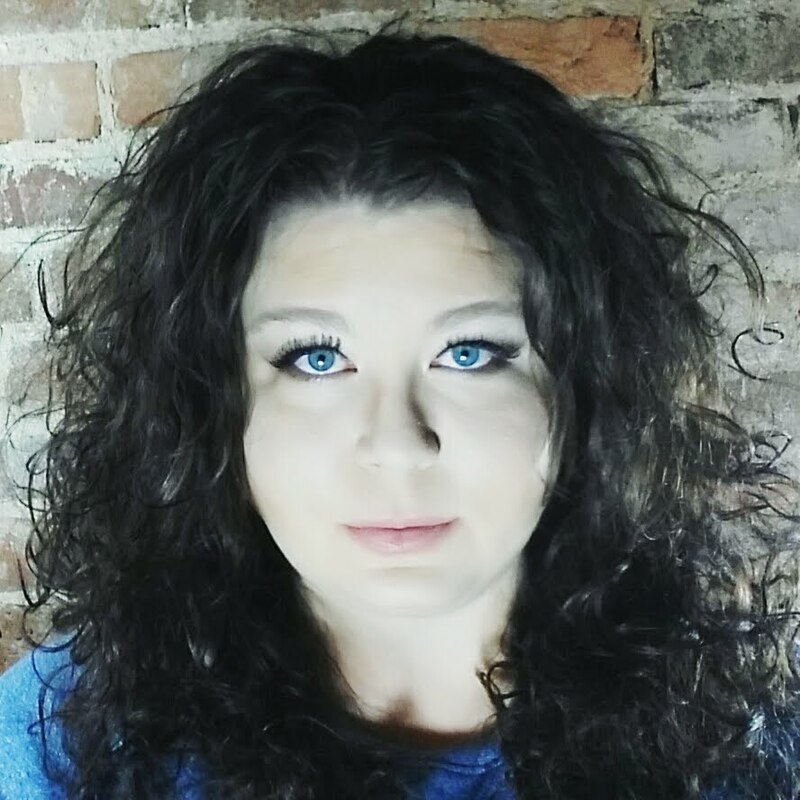 Texture has an amazing offer for my readers today! You get 2 weeks free, no commitment, to check out Texture and see if you'll love it. I know you will... When I signed up I only had the intention of using it while on vacation. However, I loved it so much I kept my service. Just click HERE and sign up for your FREE 2 week trial. You can cancel at any time. 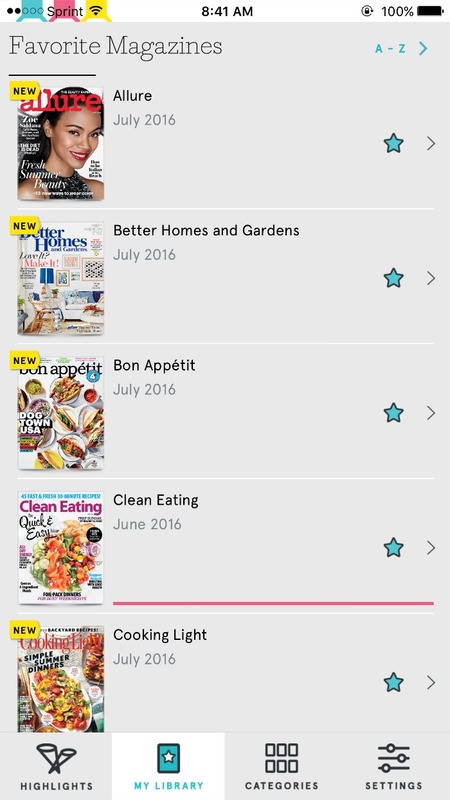 These are ALL magazines I have have saved in my app that I can view every month with my $14.99 subscription. Do you know how much it'd cost if I purchased each one of those magazine individually? Ugh yeah I don't even want to think about it. 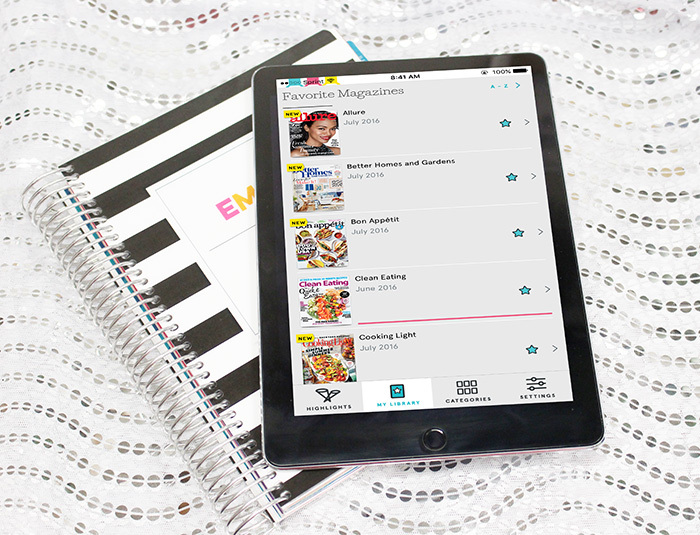 There's hundreds of magazines and you get unlimited access to them all! What are your favorite magazines to read? I like cooking, health & fitness, and gossip rags... haha! 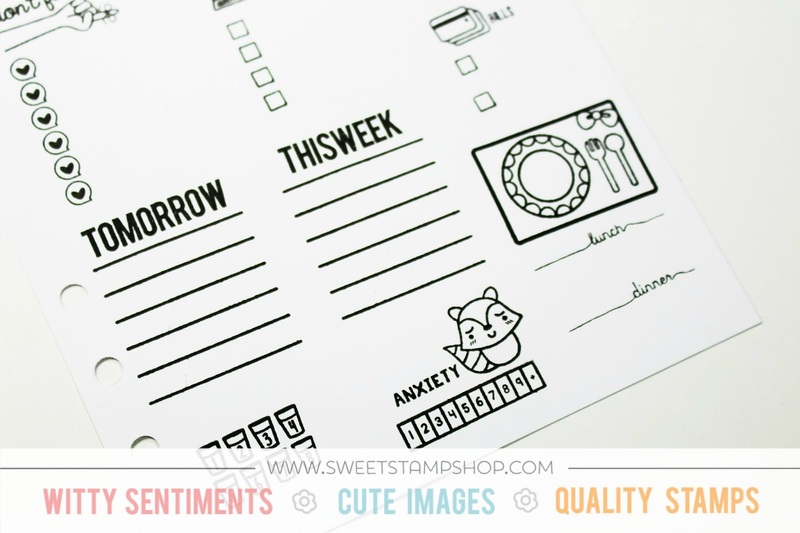 The following is a post I did for Sweet Stamp Shop. 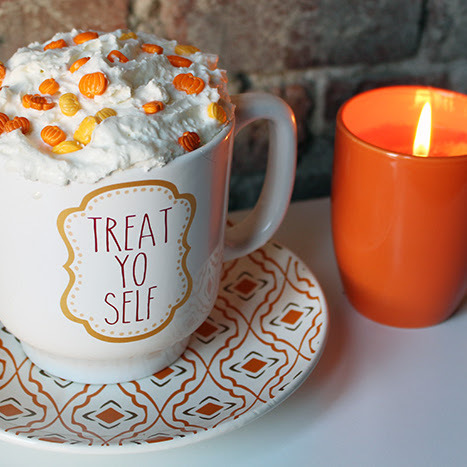 It's featured on their blog today as well, so hop over there and give them some love! 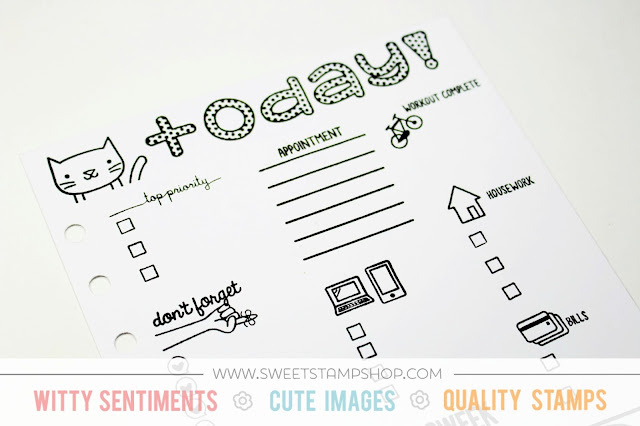 Today we're going to talk about creating your own daily pages for your planner. 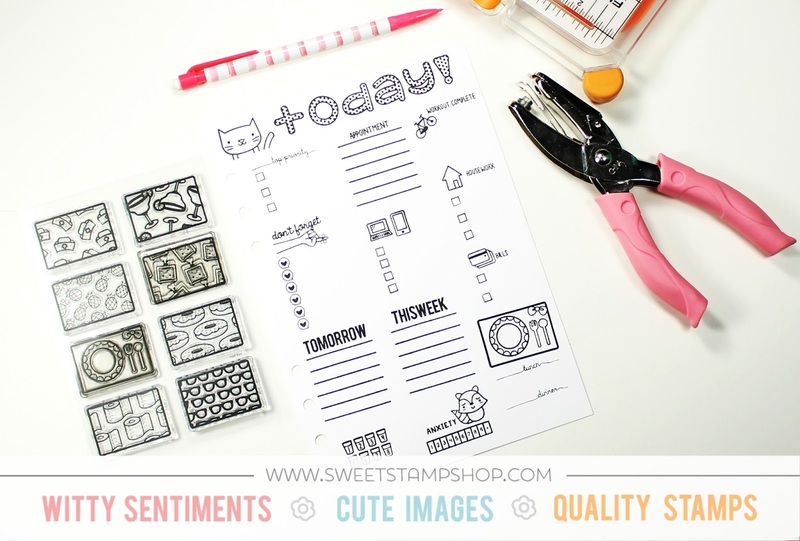 This is such a fun way to get some stamping practice in an efficient and productive way. You aren't stamping directly into your planner so there's no stress if you mess up. All you need is your stamps, ink, a hole punch, paper [I used cardstock], and a paper trimmer. Simply trim your piece of paper down to fit whatever planner size you have and punch holes. Then have fun creating a layout with your stamps! I chose black ink for mine because I am working on practicing shading with colored pencils. By using the black ink I'm basically creating a coloring page for myself! You can use colored ink if you'd prefer. I just enjoy being able to play with my pages and try different coloring techniques. I definitely wanted to use the new tracker stamps from the June release. The new tracker stamp sets are phenomenal and have a multitude of tracking capabilities. The separate daily page we're making can be beneficial for health and wellness tracking. This way the personal information isn't on your actual planner pages. I'd love to see the daily pages you come up with! Be sure to tag us in your Instagram pictures @SweetStampShop and also myself @Emilee_Speaks. 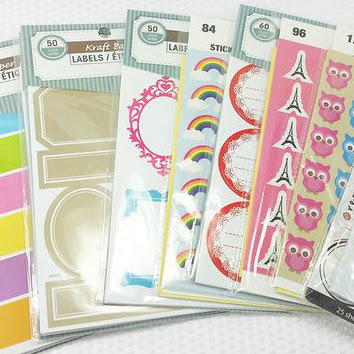 Also, the new tracker stamp sets are available in the shop!